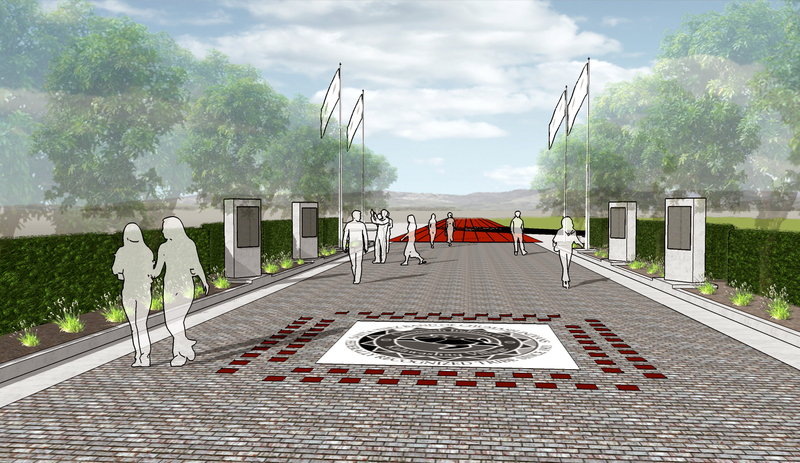 Brick Deadline Extended! 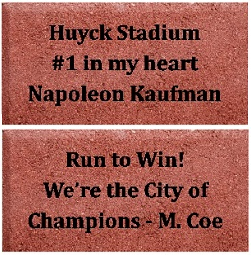 Memorialize your family, athlete, business, or a loved one by buying an engraved brick which will be a part of the Foundation of the Community Donor Walkway in the updated Huyck Stadium entrance. Laser engraving of name included, add $10 for clip art/custom logo. 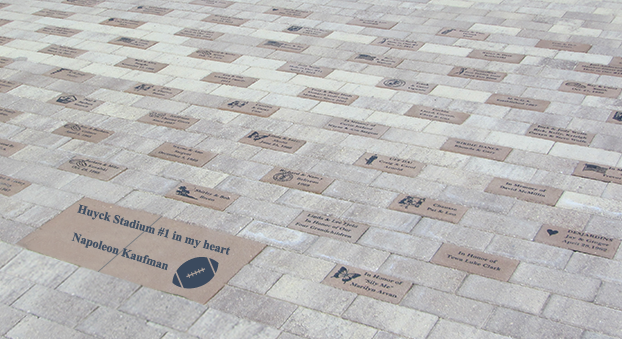 The deadline to purchase your brick has been extended to December 24, 2018. *12” x 24” brick size is made up of two 12” x 12” bricks. See the sample of the American Host bricks. This is a special order item and cannot be done online. Please call (805) 736-4509 or email lompoctrkfld@gmail.com for details. Click here to buy your brick.